Krista here!! What a FUN busy week! We here at the Alley are busy refining our new look (news and PARTY to celebrate this later!!!) and I'm celebrating my book release this week (A Side of Faith, insert shameless plug: pick your copy up TODAY) AND I'm hosting the fabulous K.M. Weiland today in celebration of HER release! Now, without further adu... Let's here's K.M. Weiland to chat about... WEATHER! As you probably know, good ol’ Snoopers outright stole that line from Edward Bulwer-Lytton, after whom the infamous “worst opening lines ever” literary contest was named. And that, of course, leads authors everywhere to wonder if maybe, after all, we’d be better off just leaving the weather out of our stories. But not so fast. Weather is a tremendously powerful and versatile tool. Want to know what a story is really about? Look no farther than the most obvious subtext of all: the weather. 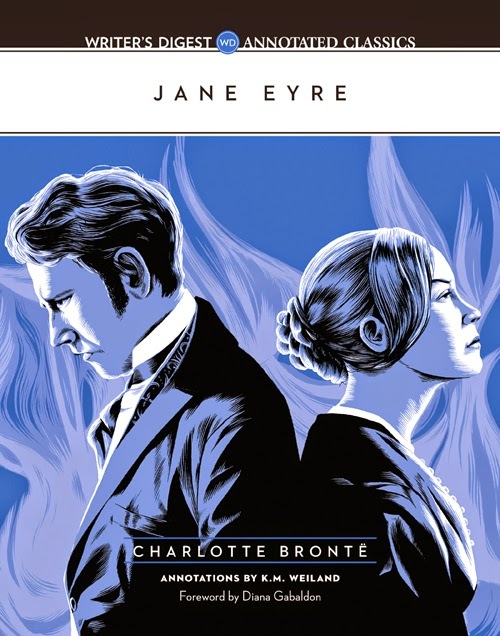 Charlotte Brontë’s Jane Eyre (which I analyze in-depth in my book Jane Eyre: Writer's Digest Annotated Classics) offers some excellent examples of how to use weather in a myriad of ways—without stooping to poor Snoopy’s level. Real-life weather can have a profound effect on our moods. Seasonal affective disorder causes depression in the dark weather months. Sunshine creates happiness. And stormy weather mirrors the storms we sometimes experience in our own souls. But in fiction, it also works the other way around. We can purposely choose weather to impact our readers’ emotional reaction to any given scene. Dark scenes can get so much darker when set in the midst of a hurricane. Happy scenes can become more resonant when set against a summer sky. Or for a little more sophistication, irony can be brought to the fore by contrasting weather against the mood of a scene. Jane Eyre opens on a day so blustery Jane and her aunt and cousins are forced to give up their walk. Instead, Jane hides in the windowsill and reads. Not only does the grim weather set the tone for the entire novel to follow, it also provides valid reasons why the character are engaged as they are in the first chapter. Inherent in its mood-setting abilities, weather is also a rich mine of symbolism. Arguably, it offers the most universally applicable set of symbols anywhere. Just as spring inevitably symbolizes new birth and second chances, wind can symbolize bleakness and loneliness, and sunshine can symbolize hope and happiness (or oppression, depending on its intensity). The best part about using weather for symbolism is that its offerings are both obvious and subtle. That dark, blustery night of Snoopy’s can create an ominous ambience without drawing undue attention to itself (unless you, like Snoopy, make off with Bulwer-Lytton’s phrasing). It was not a bright or splendid summer evening, though fair and soft: the haymakers were at work all along the road; and the sky, though far from cloudless, was such as promised well for the future: its blue—where blue was visible—was mild and settled, and its cloud strata high and thin. The west, too, was warm: no watery gleam chilled it—it seemed as if there was a fire lit, an altar burning behind its screen of marbled vapour, and out of apertures shone a golden redness. Where symbolism walks, foreshadowing often walks beside it. When storm clouds gather on the horizon, readers can be sure trouble for the characters is also brewing. Weather becomes an especially potent foreshadowing tool when it contrasts the current scene’s mood. Characters who are happy as a storm rushes in can be pretty sure their happiness won’t go unchallenged. When Mr. Rochester proposes to Jane in the garden and then mutters defiantly, “God pardon me! And man meddle not with me: I have her, and will hold her”—readers know the happy couple’s bliss won’t last. When, during the night, lightning then strikes the tree under which he proposed, the symbolism and the foreshadowing are unmistakable. All seems well now, but it will not endure. Symbolic value aside, weather wields great power within your story’s physical world. It can heighten tension and raise stakes by endangering your character’s goals or even his life. Whole stories have been written about man vs. weather. You can utilize it on a smaller scale by allowing a washed-out bridge to detain your character from an important appointment, or by having hail ruin his corn crop. Early in the book, a young Jane finds herself more or less imprisoned in the cruel Lowood School for Girls. Not long after her arrival, many of the students will die from typhus. The school’s unhygienic conditions and the girls’ misery, are revealed early on when the girls stand around in the cold rain, shivering and coughing. Readers immediately understand the elements are endangering all of these characters. Weather is ever-present. Even when it doesn’t obtrude directly into our lives, we feel its effects. The same should be true for your characters. Take stock of the weather in your every scene. Is it barely background noise? Or could you turn it up and use one of its assets to strengthen your story’s plot or subtext? K.M. Weiland lives in make-believe worlds, talks to imaginary friends, and survives primarily on chocolate truffles and espresso. 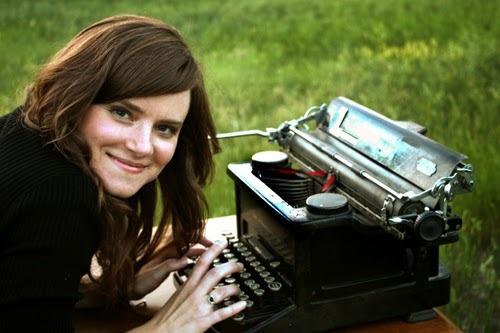 She is the IPPY and NIEA Award-winning and internationally published author of the Amazon bestsellers Outlining Your Novel and Structuring Your Novel She writes historical and speculative fiction from her home in western Nebraska and mentors authors on her award-winning website Helping Writers Become Authors. Sherrinda, same here! I've had a few times where I used the "hot" weather as part of the storyline, but that was it. This is a great reminder!! That's something I definitely need to work on! Thank you so much for hosting me today, ladies! @Krista: When I first started thinking about weather, one of the things about my own writing that I found interesting was that almost all of them were set in warm weather. I hate winter, so I think I must be living vicariously though my characters! Love this post! Writing subtext is one of my favorite things... I may not always know where the plot is heading, but I've got the subtext! ;) So glad you could be at the Alley today! Most of us find subtext the hardest part. So if you've got that nailed, you're already ahead of the curve! I saw a scene from a movie about a little girl standing on a stool in the rain and coughing. Never saw the end of the movie, but the scene has stayed with me since childhood. I didn't realize it was Jane Eyre! You're right about the weather. It sure made that scene powerful. No one can "like" -30 degree weather... it just is not possible! My blizzard book is a homage to that time of my life!! @Marji: I think that must have been the old adaptation from 1940s. Was it Elizabeth Taylor on the stool? @Krista: Hah! I've always sworn I'd never move farther north. It's cold enough here in western Nebraska in the winters. Great insight. Thanks for the post. K.M.... THANKS for joining us on the alley today!!! I probably don't take advantage of weather's influence enough, although I know it's powerful. By the way, I'm working my way through your outlining book and workbook. LOVE it! I'm so glad you're enjoying them! Weather can be a ton of fun to play around with. It's almost a character in its own right.